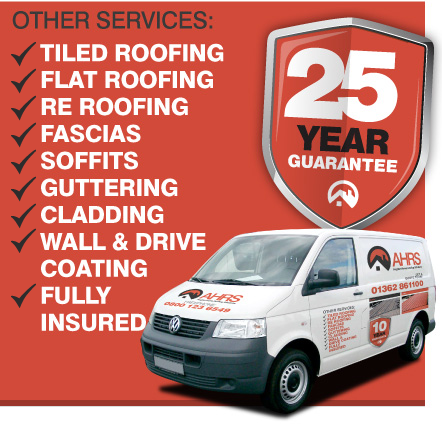 Anglian Home Roofing Solutions (AHRS) has a knowledge and experience of roofing renovation that is second to none. Our reputation for delivering quality workmanship at a competitive price has our business thriving. It is testament to us that 60% of our work comes from "Word of mouth" & recommendations from our customers in Norfolk. We believe in finishing a roofing project to the highest possible standards. Our aim is not just to meet with the clients expectations but to surpass them. All of our work is inspected by our surveyor after completion, to ensure not just your high standard but our continued high standards too. We employ a dedicated team of experienced and qualified technicians that understand how important your home is to you and work tirelessly to give you the roofing renovation excellence that you deserve.